According to the Retirement Confidence Survey, more than half of American workers have less than $25,000 in retirement savings. As someone who’s self-employed we have a bit more control over our finances. But even then, it’s tough to save for retirement when you have irregular income. This is why many retirees are being forced to come out of retirement to find jobs to support their lifestyle. That’s not what you want to do after you’ve worked hard for 40+ years being self-employed. Yes, investing can be intimidating. Which stocks should you choose? Should you even invest in individual stocks? Mutual funds are a thing, right? Wait, what are these fees for? Is this really going to grow wealth so you can retire one day? What if you can’t retire? While all those questions need to be answered, they don’t excuse either of us from saving for our futures. We can’t just skip saving for retirement altogether! Thankfully, you don’t have to be an investing expert to save for your future when you’re self-employed. How? With the Roth Individual Retirement Account (IRA for short). Click here to try Betterment for free! 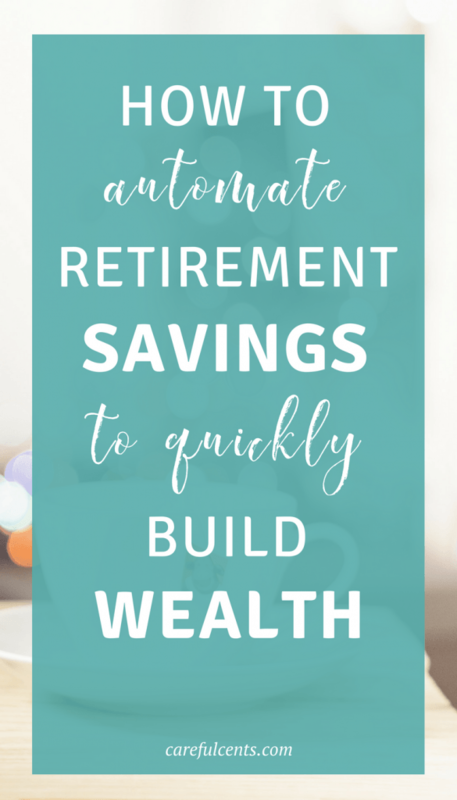 Put your retirement savings on auto-pilot with just $10-20 a month! What is a Betterment IRA? If you’re a beginner then you’ll want to read my honest Betterment review. All you need is as little as $10 and your personal information, to open a free account. Betterment is a web-based investment managing company that utilizes Modern Portfolio Theory to manage its users’ portfolios. It invests your money in ETFs (exchange-traded funds) that offer low-risk for maximum return. These investments have been chosen based on decades of research and historical analysis. All you have to do is choose an allocation between stocks and bonds, based on how risky you want to be (or how conservative). And if you’re not sure, there’s already a default set for those who want a completely hands-off experience. I’ve talked about Betterment before and how I use it for my Roth IRA account. They offer IRAs as well as taxable accounts. Whichever you choose, you’ll get the diversification and balance between risk and reward without having to do the research yourself. This was a huge selling point for me when I opened my investing and IRA accounts back in 2011. I wanted great returns, but I was too nervous to choose my own investments. As you’ll see in a bit, I managed to make great returns without exerting any effort. Obviously, I can’t guarantee your returns but I’ve had great success since I started using Betterment for my personal Roth IRA. See for yourself! With a 90/10% stock and bonds allocation, I’ve seen a solid 15.0% returns with my Roth IRA on my investments since December 2011. Not too bad for something that took absolutely no effort on my part! I just opened the account and have made consistent contributions each month since then. Sometimes my deposits have been $25 (while I was paying off debt) and sometimes they are the maximum $416 a month. If you want returns like mine, then it’s time to open your own account! What have you got to lose? You can fund it with any amount you choose (there is no minimum balance) and pick your stocks/bonds allocation. I chose 90% stocks and 10% bonds because I’m in my early thirties and I have plenty of time to recover from any market downturns. So my portfolio risk tolerance is moderate to quite high. Then once you have your risk profile complete, it’s time to set up automatic deposits on a weekly, bi-weekly, monthly, bi-monthly, or yearly basis — whatever you choose. After you’ve set up your account, you can set different types of goals — like saving for retirement, a house, a wedding and more. A “target” goal will appear and let you know if you’re on track of off track to reach your goal based on your age and how much you’re currently saving. I’m currently off track for hitting my Roth IRA goal because I’m focusing on building my business, increasing my revenue and getting my finances back on track since quitting my job last year. However, if I needed help getting back on track, Betterment offers suggestions to reach my retirement goals. Betterment is a desirable investment option not only because it is hands-off, but also because it has very low fees compared to similar services. I used to have a managed fund account with Edward Jones, but I closed that (due to the $40 a year + 2% commission) and rolled over all my Roth IRA funds to Betterment. Why? Because with Betterment fees range from 0.25-0.50% depending on your balance and deposit amounts. If your balance is less than $10,000 and you deposit less than $100 a month, your flat fee will be $3/month. Betterment is a great option for beginner investors, or those who are more hands-off, and simply want a way to save for their future goals. To open your IRA or taxable account today, click the button below. Sign up takes less than 60 seconds and you can check “saving for the future” off your list of goals. Not only will you be on your way to effortless investing in a matter of minutes, but you could qualify for tax savings and start earning interest well above the industry average! I personally trust and use Betterment as a self-employed business owner and have seen awesome results. Don’t believe me, check out their service for yourself! The Roth IRA started with the Tax Relief Act in 1997 but many individuals still don’t know much about them. Basically, they are the best way to save money for retirement, since it gives you the most control over your funds. I have a Roth IRA account that I rolled over to Betterment from an Edward Jones account a couple years ago. I strongly believe in having a Roth IRA, and it will be a decision you won’t regret. Below are four awesome facts about a Roth IRA and how you can use it to save for retirement when you’re self-employed. Unlike all other retirement accounts, contributions to a Roth IRA are made with after tax dollars, which means you won’t be able to get an immediate tax benefit. However, (depending on your income) you might be eligible for a different credit called the Saver’s Credit. It’s basically a credit you get on your income tax return for contributing to any qualified retirement plan, like a 401(k), SIMPLE, SEP or any IRA. The credit is based on a percentage of your total contribution, so the amount varies for each taxpayer. If you work for a small business or company that doesn’t offer 401(k) or IRA plans, you can still participate and convert them over to a Roth. I did this in 2009 with an employer-funded SEP plan. But be careful to do your research first (or ask a professional for help) if you’re converting a tax-deferred plan to a nondeductible one. I had to pay taxes on the amount I converted, just like it was income. You definitely want to be sure to do this in a year you make less money, or can afford the higher taxes. In general I like to keep my finances simple. The best accounts are for savings, investment accounts are for investing and so on. But sometimes, a Roth IRA can be used as a back up emergency fund or savings account if needed. Since you already paid taxes on the money you put into the account, you can enjoy tax free distributions before you reach retirement age. Of course there are a few distribution requirements that you need to meet. But it can be used for things like saving for a down payment on your first home, or your kids college education. Yes, that’s right. Until Congress decides to take away this “too good to be true” benefit, all the earnings and interest you earn within your Roth IRA is completely tax-free! You won’t have to pay taxes on dividends earned or have to worry about capital gains taxes. If you want to read more about opening a Roth or the investment details, check out my Beginner’s Guide to a Roth IRA.